The special guest hosts have been announced for Peasedown St John’s 10th Party in the Park festival. 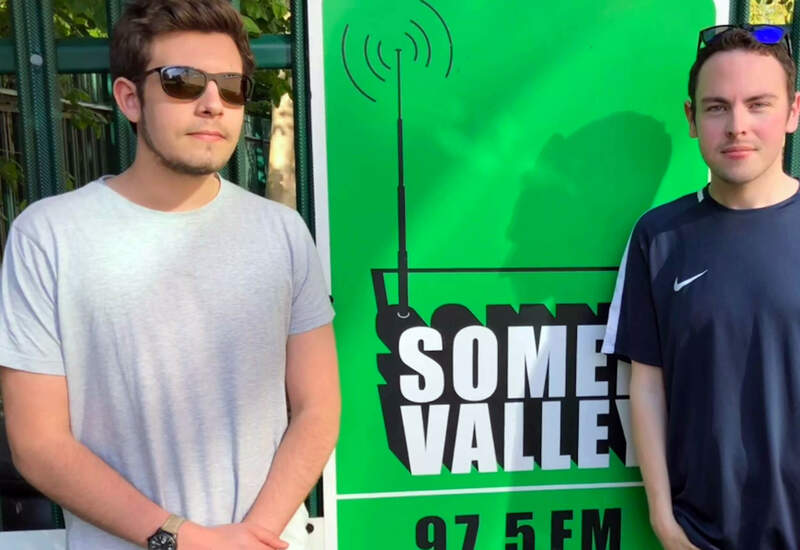 Somer Valley FM’s Pete and Seb will be leaving the studio to help entertain over 2,500 people on stage at the village event. As a Director of the station, Pete has been a key player in taking Somer Valley FM from a Somervale School project in 2006 to becoming the area’s only dedicated broadcasting service. Pete’s wit and radio talent will be a welcome addition to the summer festivities. Seb is also part of the team behind the Keynsham Music Festival. Somer Valley FM will also be broadcasting live on the day. Station DJ, Pete Bailey will also be in attendance with his summer tunes, and Bath Audi are supporting the broadcast. Now in its tenth year, Party in the Park attracts over to 2,500 people each summer and has quickly become one of the most popular family events in the local calendar.